As part of our efforts to change the industry and pioneer the Modern Contents® movement, iCat is making the packout process much more efficient than ever before. Contractors now complete packouts in half the time, with total inventory control, thanks to mobile and cloud technologies. What’s even more incredible is the fact that iCat can actually help contents restoration contractors generate additional revenue for their businesses. Yes, you read that right. iCat’s Fast LKQ is enabling our users to provide like kind and quality (LKQ) valuation of non-salvageable inventory for your clients. The Setting: A large loss residential fire. 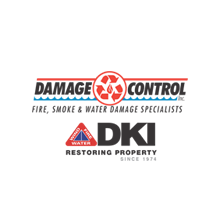 The Ask: Packout for cleaning and restoration, while leaving all non-salvageable items onsite to be handled by another firm at a later date or the adjuster and homeowner spend hours at the loss site listing the items. 1. You use iCat’s Fast CATALOG technology to reduce your time on the jobsite by up to 50 percent. The math here is easy — you can now packout twice the amount of contents than you could before. 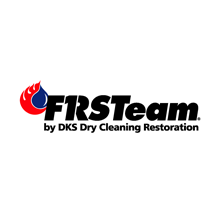 Thus, you can potentially take in twice as much in cleaning and restoration revenue. We call this “2x-ing” your contents business. iCat’s Fast CATALOG uses our image recognition technology, allowing you to simply take a picture of the chair, desk, TV, dishware or the hundreds of other items you might need to catalog onsite. You can use this technology for both salvageable and non-salvageable items, as iCat provides a perfect description — right down to the make, model and (in some cases) color. Talk about efficiency! 2. You push a button for immediate pricing. iCat’s Intelligent Web Crawler Technology searches the far corners of the Internet to retrieve a live LKQ replacement price for each item, and provides a hyper-link confirming item and replacement price. All of this data is presented clearly in an executable Microsoft Excel file, complete with all supporting LKQ links and original item images. As a contractor, you simply charge per line item and the time you spend onsite to inventory. We can say from experience that this truly knocks the socks off insurance adjusters because it gives them the data and tools to easily and quickly resolve the hardest part of the claim! And it all gets done in about 48 hours. For this reason alone, adjusters will turn to you again and again for the added value service you provide and the headaches you prevent. 3. You get more business from referrals. Insurance adjusters talk to each other, and when one adjuster benefits from the level of service you’re able to provide, it won’t be long before other potential clients hear about you. This is true marketing through your operations. As you provide added value, time saving convenience and elevated customer service, more adjusters will turn to you. 4. You make insured individuals and families happy. Because of you, insureds get paid more quickly and they receive more responsive service. They feel their voices are heard, their claims are validated and they conveniently participate and are part of the claims process. The result is higher overall claims satisfaction. When insureds are happy, everyone in the process wins. With these advantages, it’s going to be tough for your competitors to match what you are able to do. With iCat, you get the only software in the entire contents restoration industry that gives you a pure trifecta of; instant additional revenue, powerful marketing tools and the ability to create a new customer experience. Don’t just go by what we say, ask any contractor powered by iCat. You will find that most iCat powered contractors are either the largest and/or the leaders of their markets. Come and join them. It works, it works well, it works for you. Sign Up Now. We promise, it’s worth it.